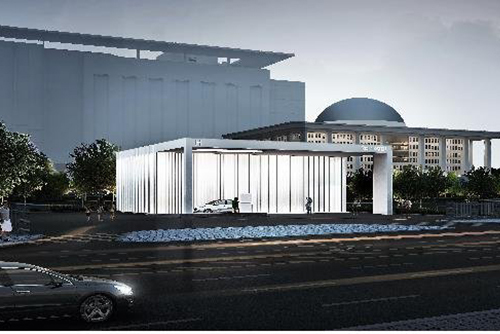 The South Korean government has allowed Hyundai Motor to set up four hydrogen charging stations for fuel cell electric vehicles in Seoul, including one at the National Assembly. The move comes after the Industry Ministry held its first review of new business models that are eligible to take advantage of a "regulatory sandbox" on Monday. A regulatory sandbox is a concept that allows a grace period or waiver of regulations on innovations by private firms during small-scale, live testing in a controlled environment under the regulator's provision. The waiver on Hyundai's charging stations underscores the government's commitment to boosting the hydrogen economy, after it announced plans to increase the number of hydrogen fuel cell electric vehicles to about 80-thousand units by 2022. The ministry also allowed genetics testing service provider Macrogen to expand its direct-to-consumer service to include 13 additional diseases including hypertension, gastric cancer, and Parkinson's disease. The ministry gave the green light to two additional proposals, including allowing digital signage advertising on buses.